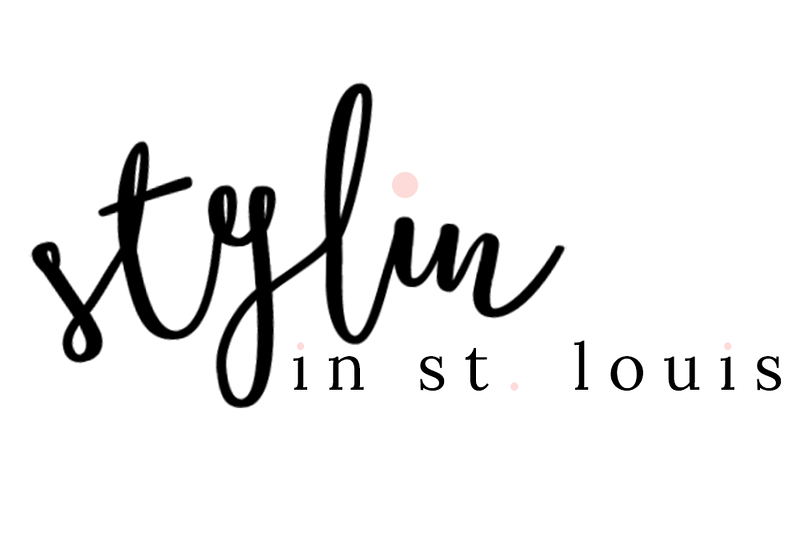 Stylin in St. Louis: Spotlight of the Week: Shorts…. 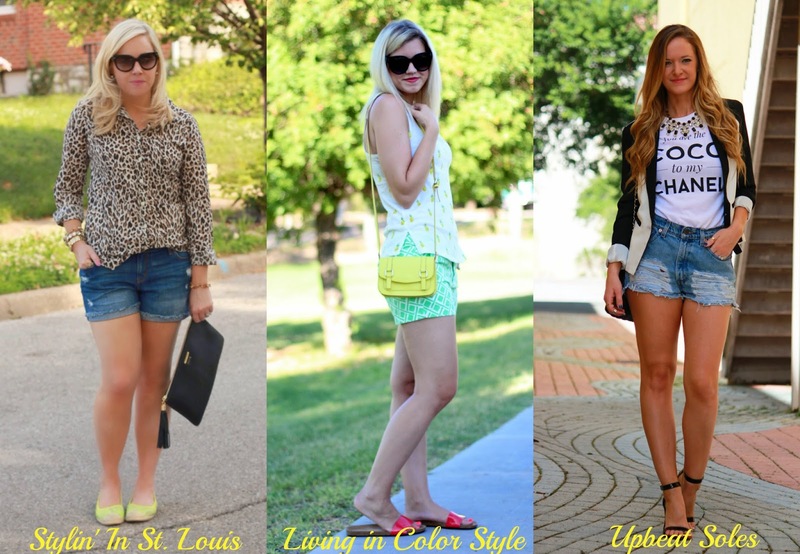 Spotlight of the Week: Shorts…. Happy Thursday! This week out spotlight weekly theme is shorts! I have been wearing these shorts from Old Navy a lot the past few weeks! They are so comfy and fit perfectly. I might just need another pair! Come link up your shorts with Elle and I! 1. 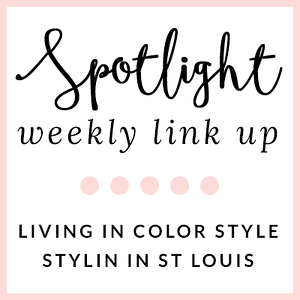 We kindly ask that you follow the two hosts: Elle from Living in Color Style and Jacqueline from Stylin' In St. Louis via Bloglovin or GFC and of course our co-host Shannon of Upbeat Soles. Spotlight: Our spotlight of the week is Krista of Sugar Love Chic blog! Krista's swing dress is just fabulous on her! We lobe the way she rocked her summer dress with lots of amazing accessories to make this look pop! Those green sandals! Be sure to check out her adorable blog! Nextweek: Next week out spotlight weekly theme is Summer Wedges! Thanks for linking up! See you next week! I always lllovvvee leopard! Those shoes are the perfect finishing touch. Thanks for hosting! Love this combo. Cute espadrilles! Love the leopard with the yellow flats! Such a cute look! Great link up! Love the denim shorts! Wow am so happy to be able to follow this week's Shorts theme.....and leopard with shorts is such an awesome idea have to try it soon!!! I love this cheetah top - the more animal print the better! Such a perfect combo! Loving this outfit! Those shoes are amazing! You can never have too many cute shorts! A summer must have! I love the leopard with the bright yellow. It's perfect for summer and you can't go wrong with denim shorts. They go with everything. Love this top, I love anything leopard really.